This week is the 500th anniversary of the Reformation. Luther’s action in 1517 launched several varieties of Protestantism, including the tradition that took his name. Here are nine things you should know about Lutheranism. 1. Lutheranism is a tradition within Christianity that began in the Protestant Reformation. With a membership estimated at around 80 million members worldwide, Lutheranism is the third-largest Protestant movement, after Anglicanism and Pentecostalism. 2. The Lutheran faith is based on doctrines first articulated by Martin Luther in his attempt to reform the Catholic Church. Luther conducted the first Lutheran worship service and ordained the first Lutheran minister in 1525. One hundred years after Luther’s death the first Lutheran church in America was planted in the area east of today’s downtown Wilmington, Delaware. 4. There a large number of Lutheran denominations, with the two main bodies in America being the Lutheran Church—Missouri Synod (LCMS) and the Evangelical Lutheran Church of America (ELCA). The LCMS is the more conservative of the two, teaching that the Bible is the “inspired and inerrant Word of God.” The ELCA holds that Scripture is not necessarily always accurate or trustworthy in all its details and parts. The two also disagree on “altar and pulpit fellowship” (allowing the pastors of one church to preach and celebrate Holy Communion in the church of another). The LCMS limits such engagement to certain other confessional Lutheran church bodies, while the ELCA is in full communion with the Presbyterian Church (USA), the Reformed Church in America, the United Church of Christ, the Episcopal Church, the Moravian Church, and the United Methodist Church. 5. Local Lutheran congregations are part of a regional or national organization called a synod. (It’s not always possible to tell from the name whether the synod is national or regional. A prime example is the Lutheran Church—Missouri Synod which is a national synod divided into districts (i.e., the Michigan district). Synods unite the work of congregations within their areas, serve as regional support, and guide the hiring of pastoral and other staff candidates. 6. 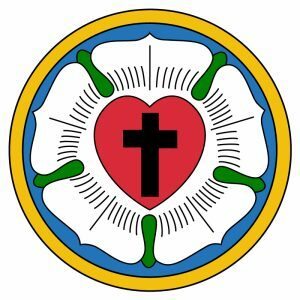 The historic doctrinal standard of Lutheranism is the Book of Concord. First published in 1580, the book contains 10 creedal documents recognized as authoritative for Lutherans: the Apostles’ Creed, the Nicene Creed, the Athanasian Creed, the Small Catechism of Martin Luther, the Large Catechism of Martin Luther, the Augsburg Confession, the Apology of the Augsburg Confession, the Smalcald Articles of Martin Luther, the Treatise on the Power and Primacy of the Pope, and the Formula of Concord. 7. The primary confession of Lutheranism is the Augsburg Confession. In 1530, the Lutherans were required to present their confession of faith before the Holy Roman emperor in Augsburg, Germany. Philip Melanchthon wrote the Augsburg Confession, which was read before the imperial court on June 30, 1530. Since the 16th century the Augsburg Confession has been considered by most within the tradition to be the basic definition of what it means to be a Lutheran. 9. Although there are difference related to issues such as predestination and Christology, the Lutheran’s distinctive view of the sacraments is the primary doctrinal divide with those of the Reformed tradition. For example, Calvin believed that Christ is spiritually present in the Lord’s Supper, while Luther taught, “It is the true body and blood of our Lord Jesus Christ, under the bread and wine.” The Reformed tradition also rejects Lutheran teaching on baptismal regeneration. (i.e., that baptism is necessary to salvation). Luther taught, “Baptism is not simply common water, but it is the water comprehended in God’s command, and connected with God’s Word. . . . It worketh forgiveness of sins, delivers from death and the devil, and gives everlasting salvation to all who believe, as the Word and promise of God declare”).